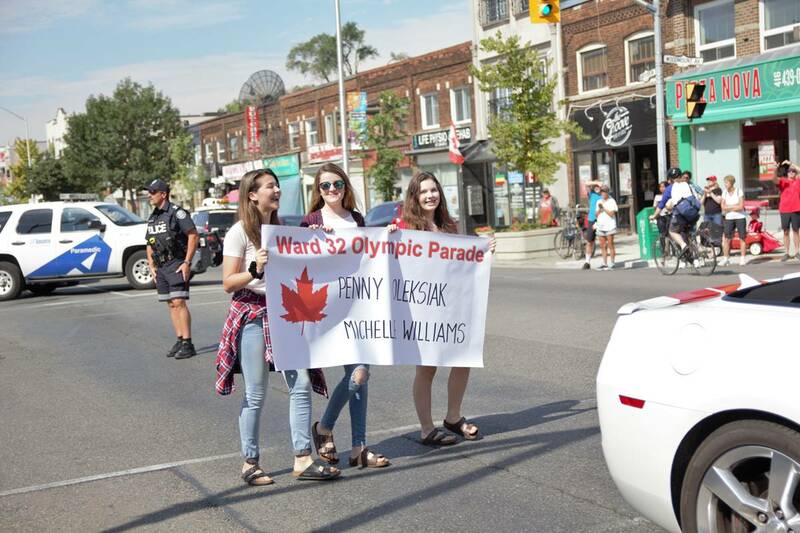 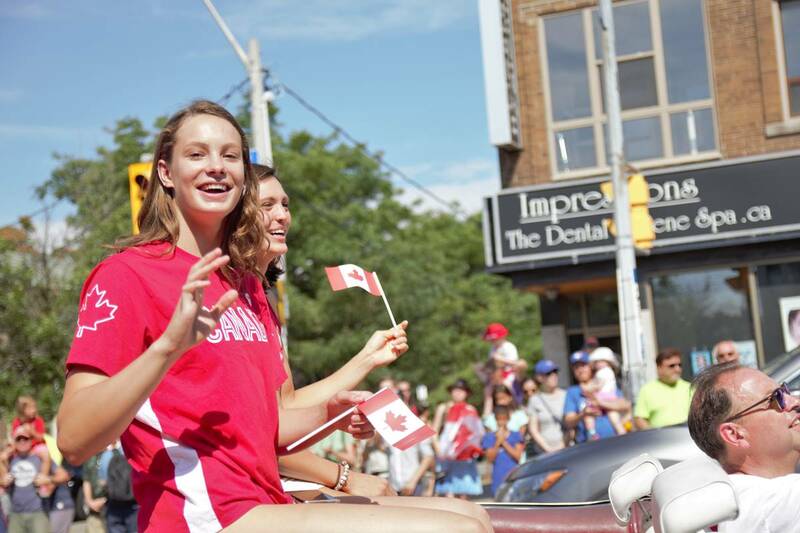 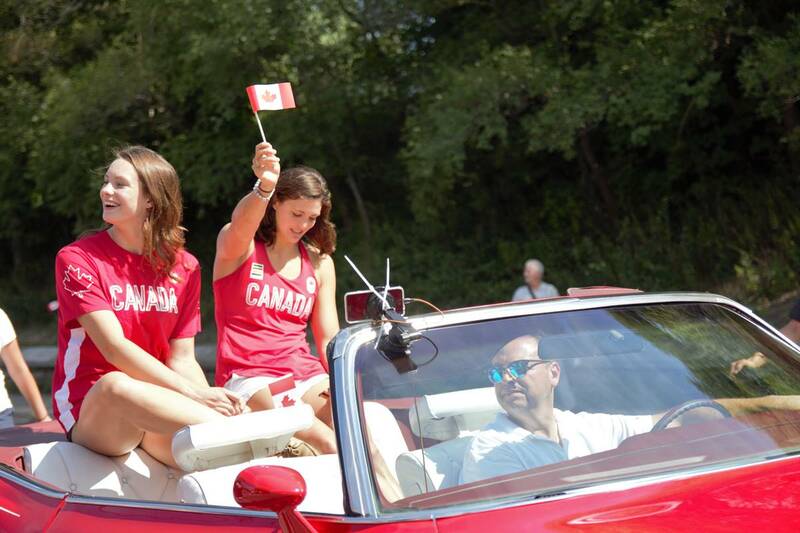 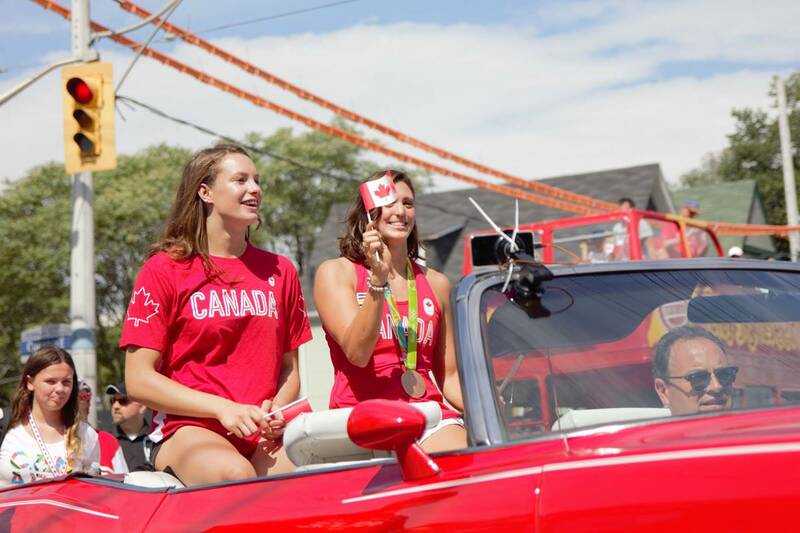 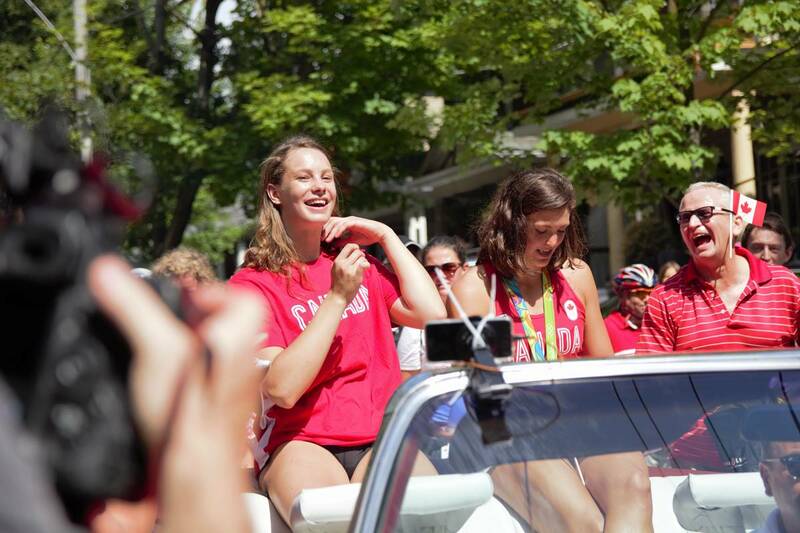 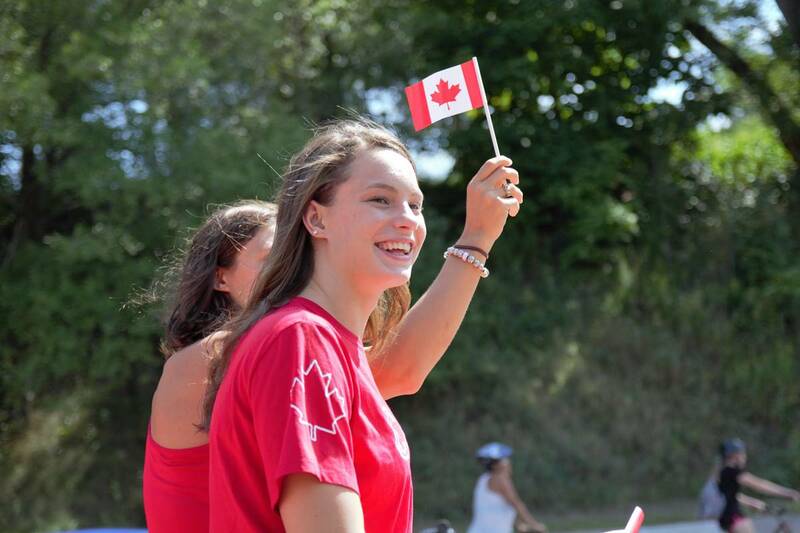 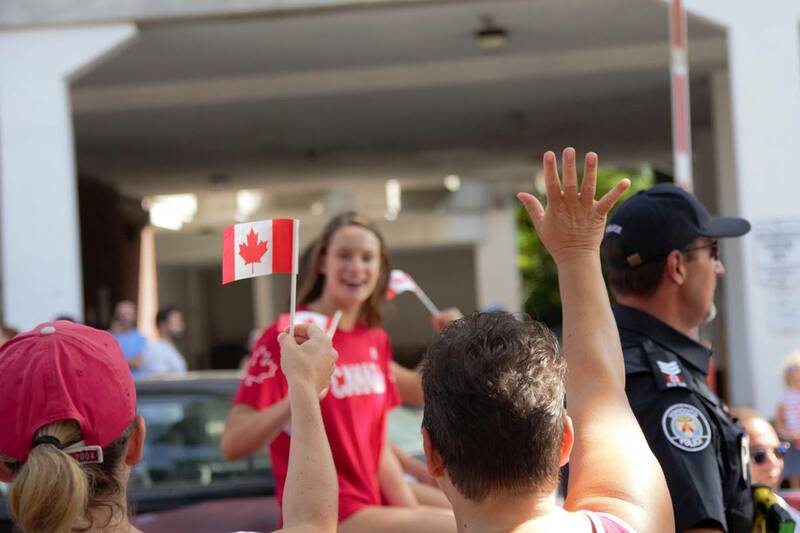 Ward 32 Olympic Parade welcomes 4-time Olympic Medalist Penny Oleksiak home from Rio 2016. 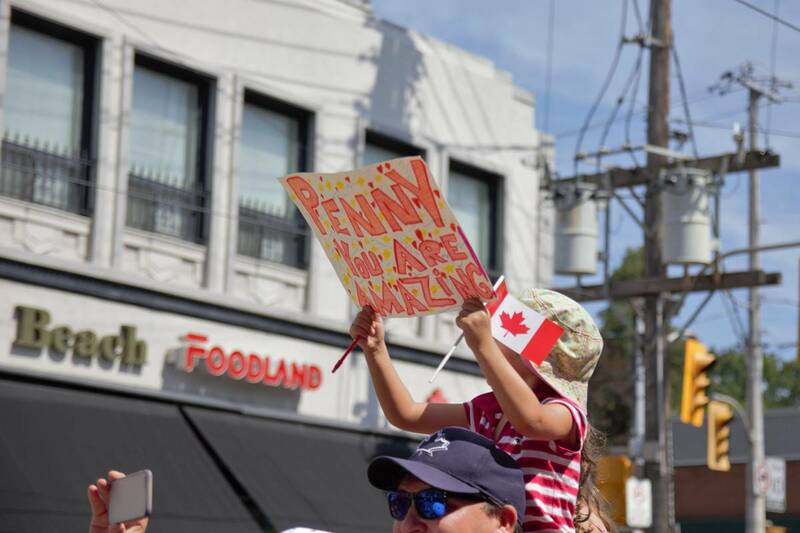 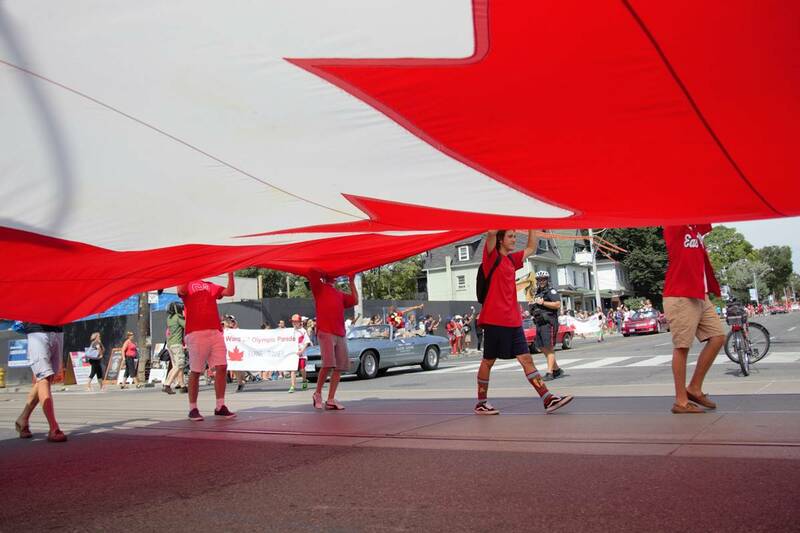 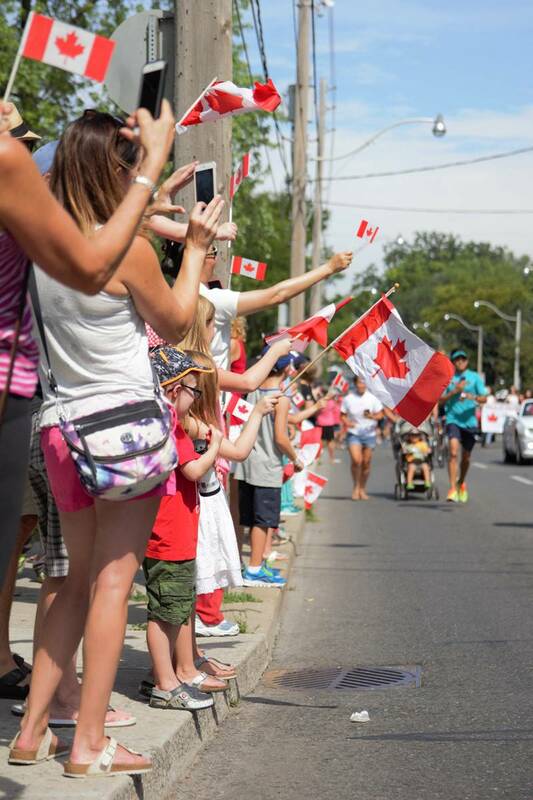 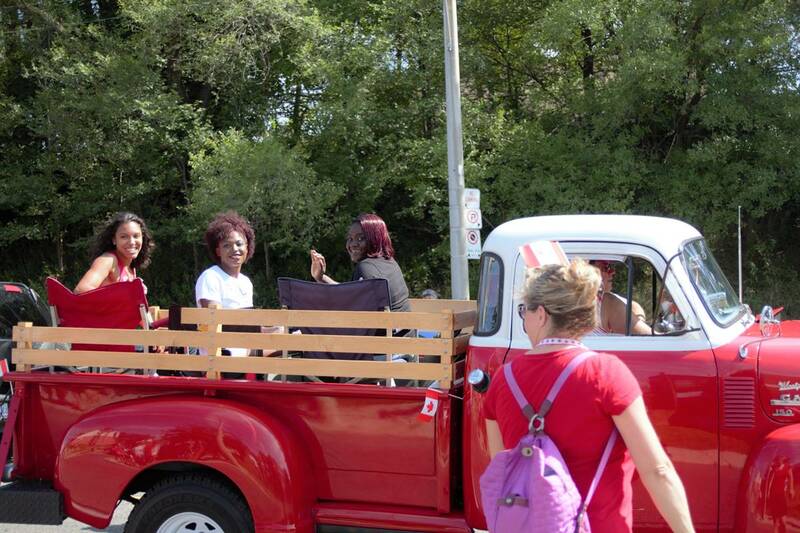 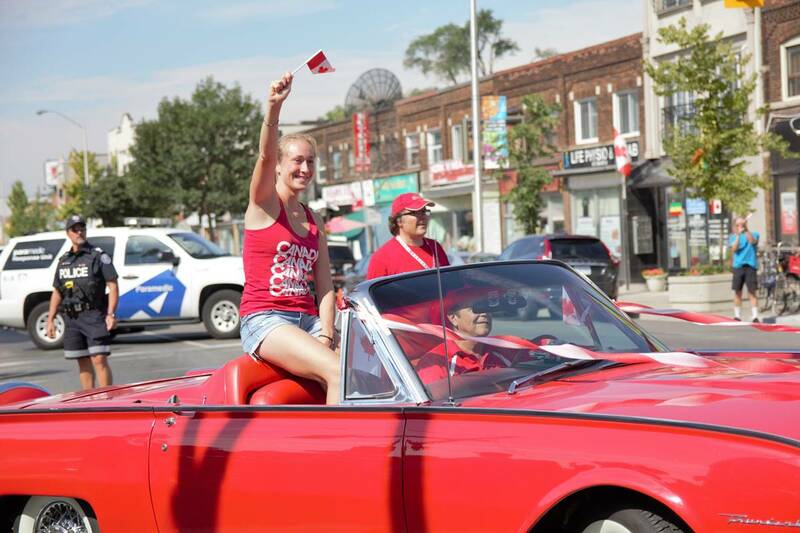 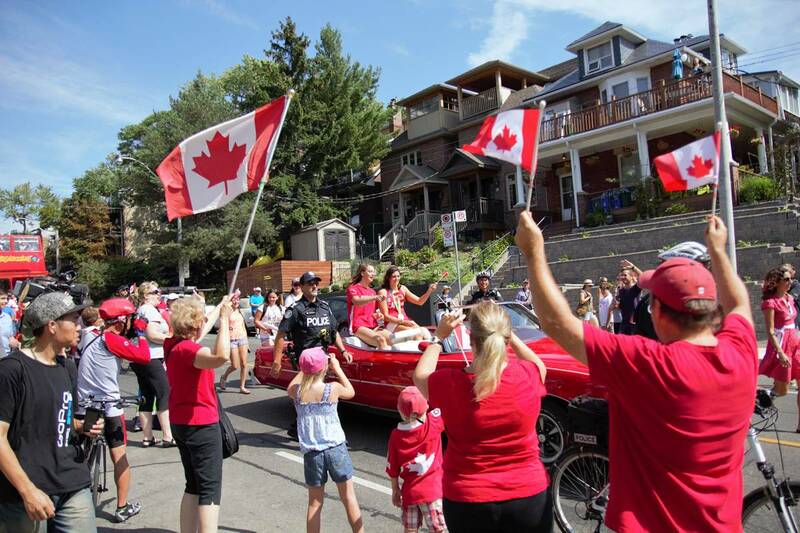 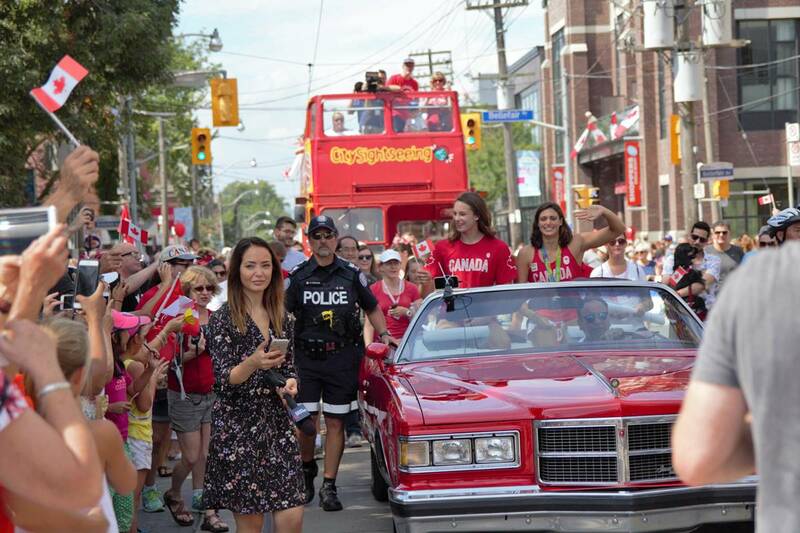 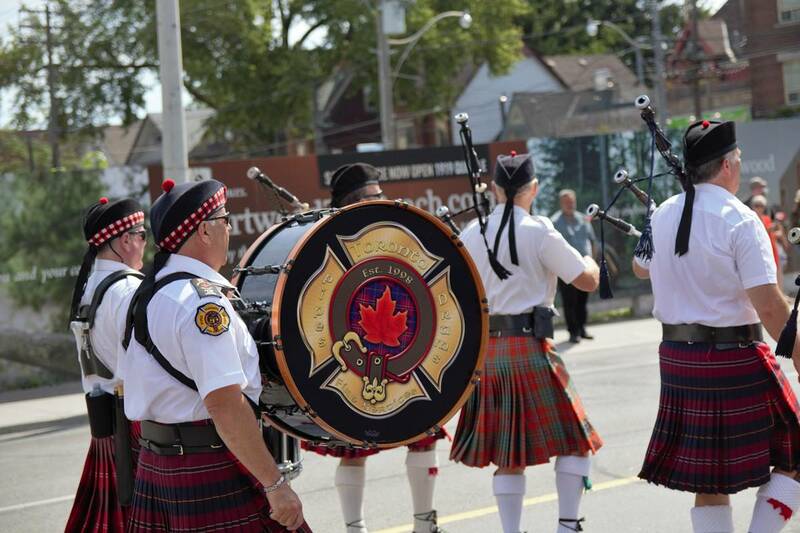 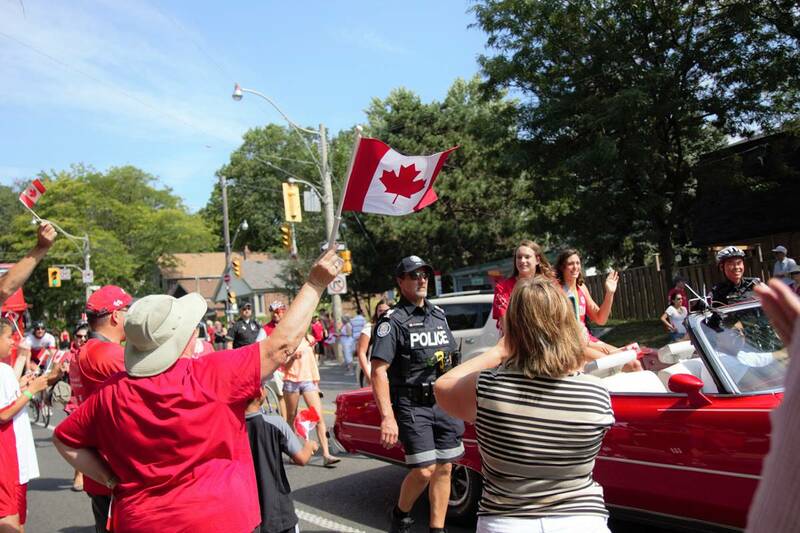 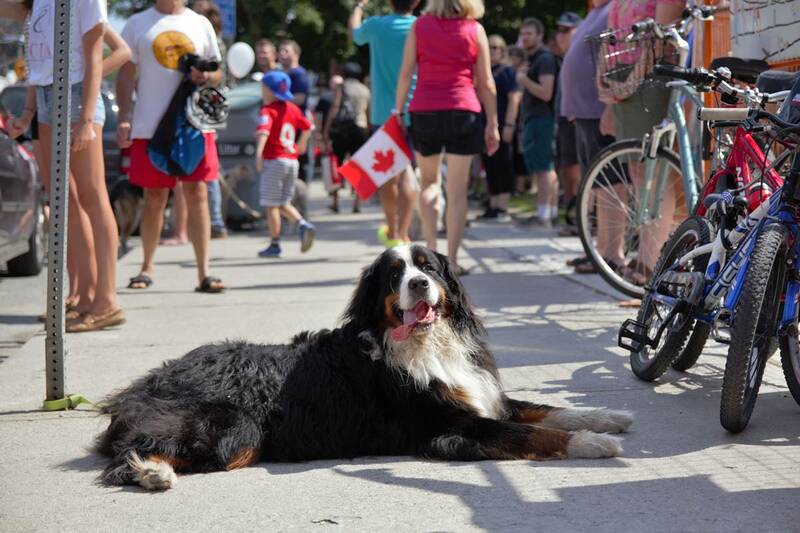 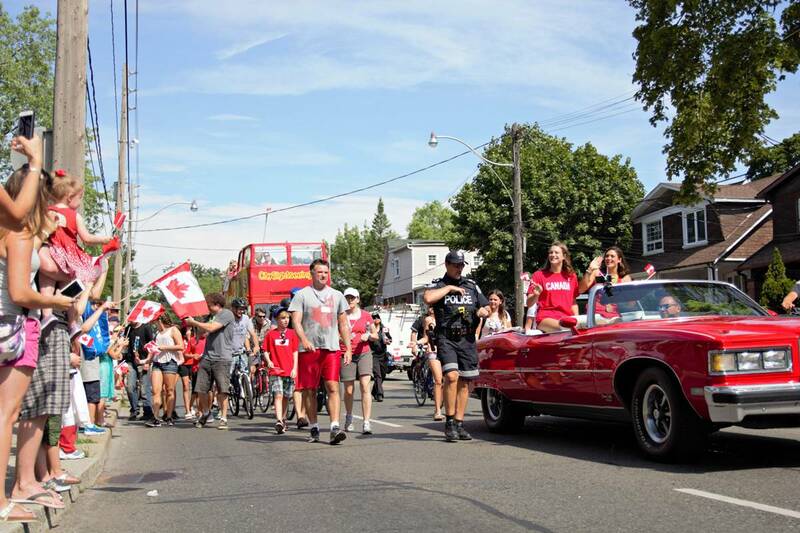 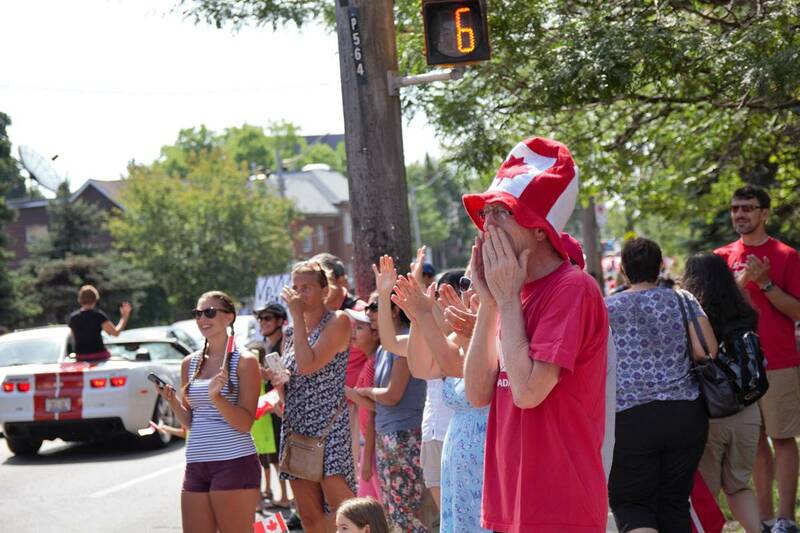 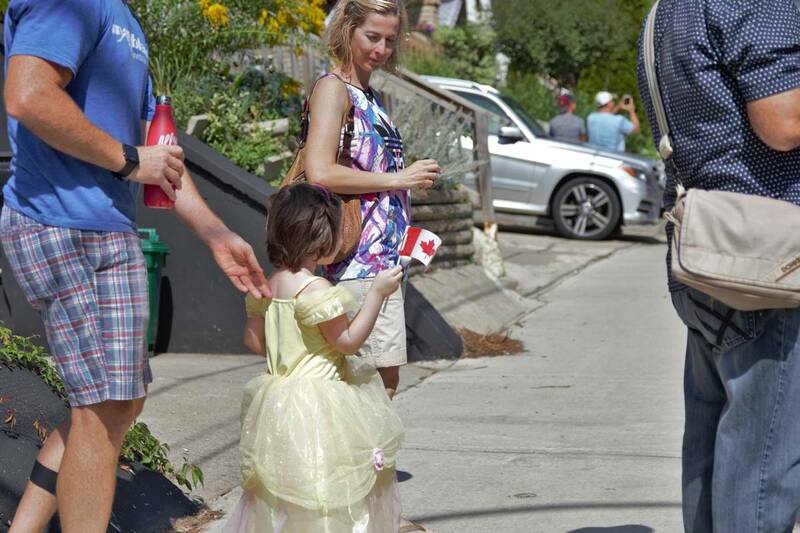 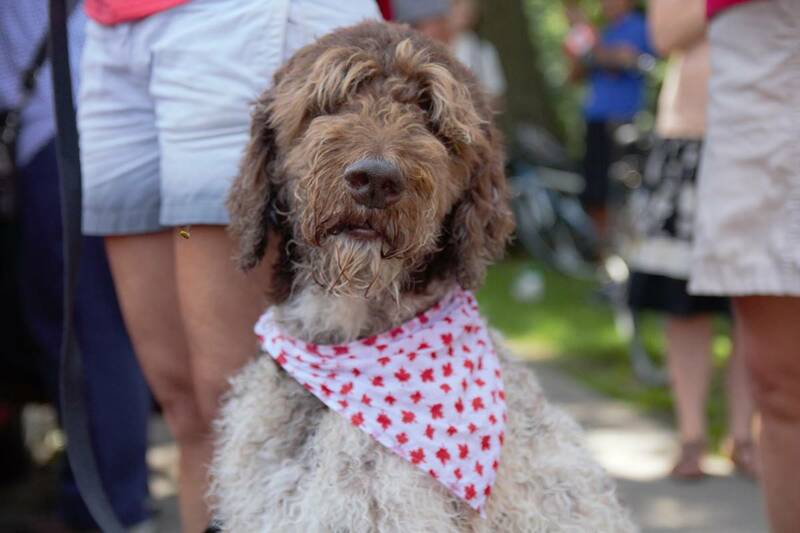 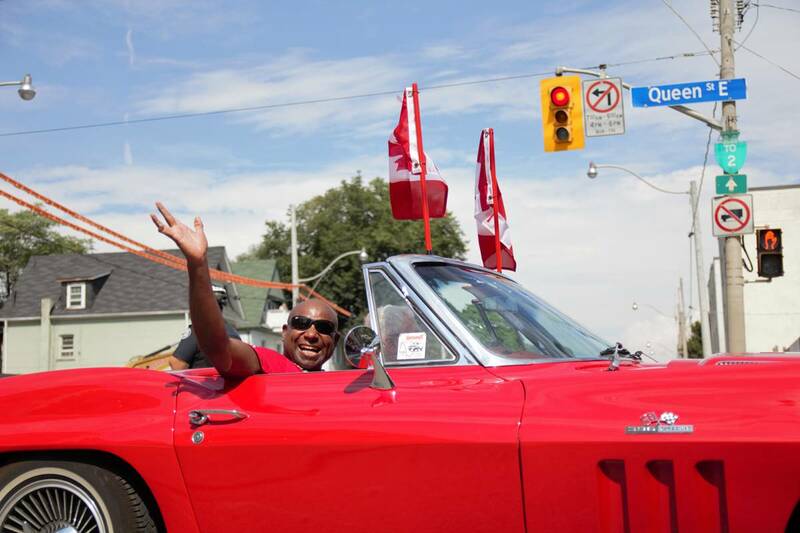 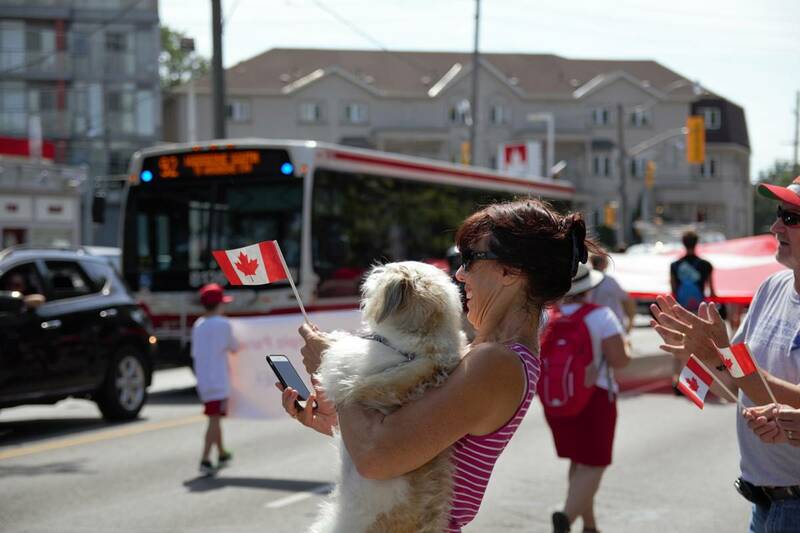 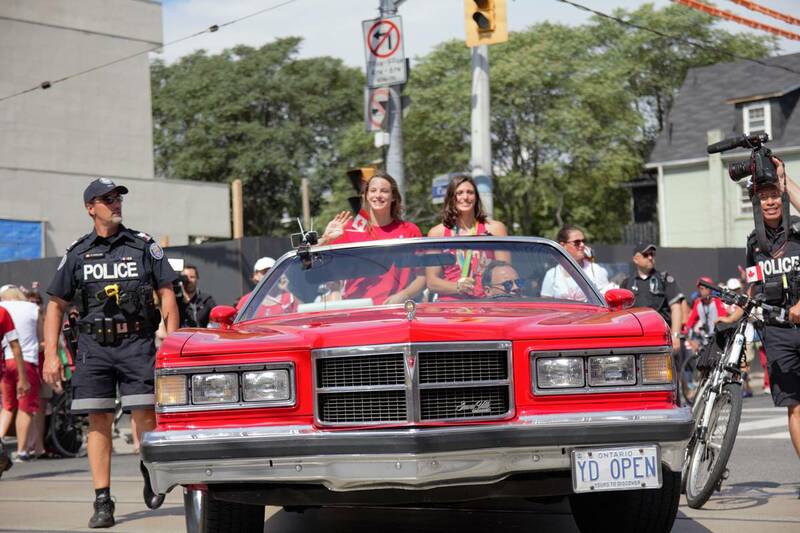 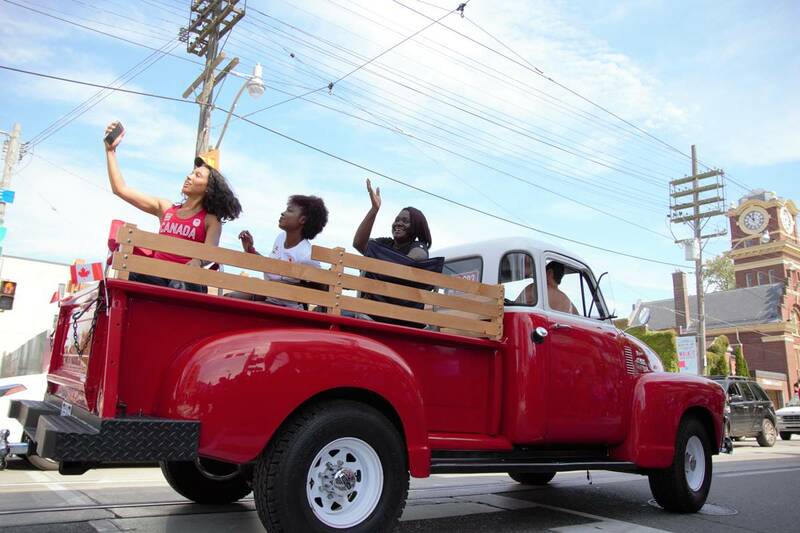 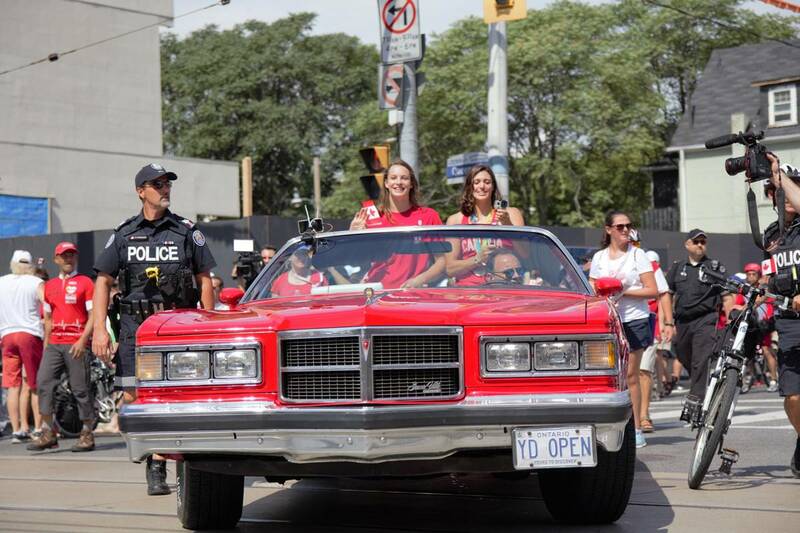 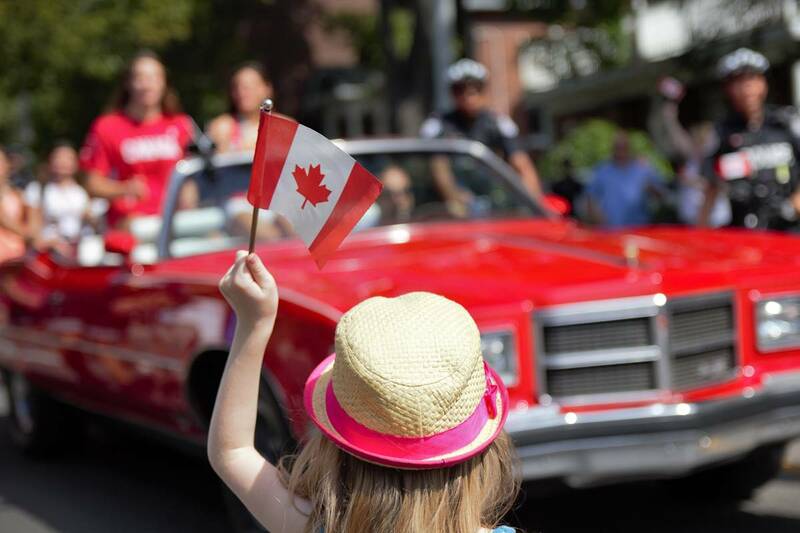 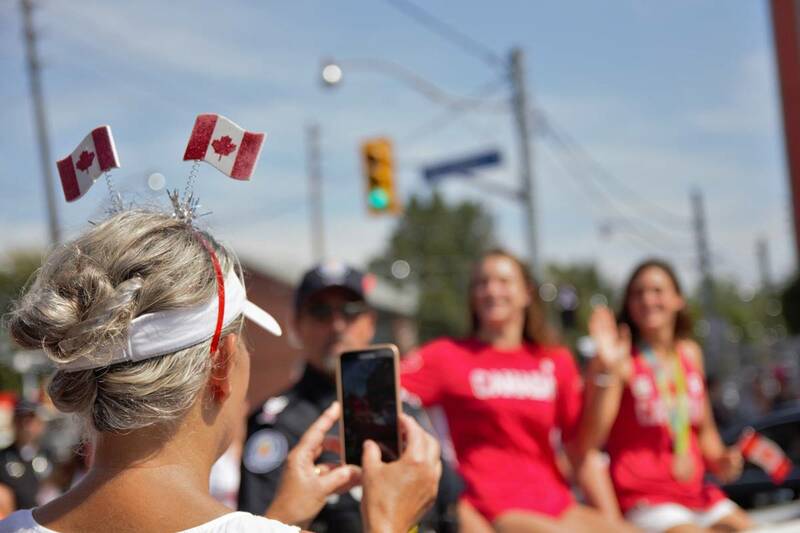 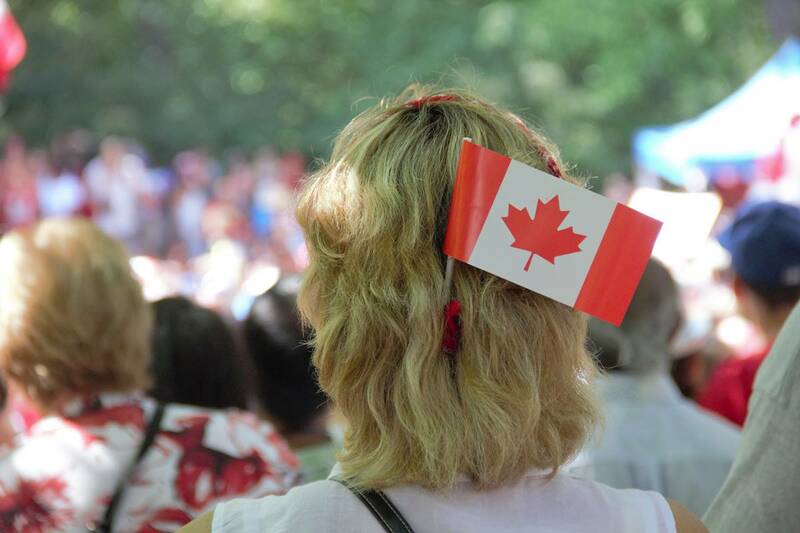 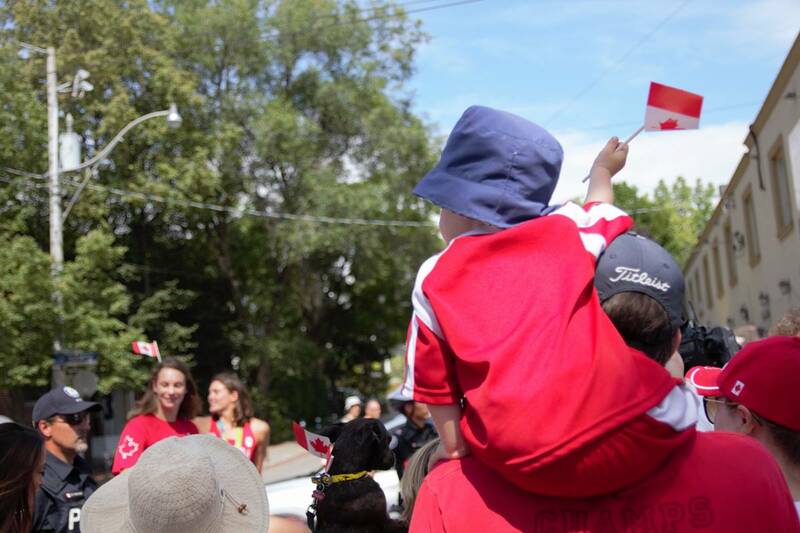 Proud Canadians lined Danforth, Woodbine and Queen St. E. as the parade headed to Kew Gardens in the Beach. 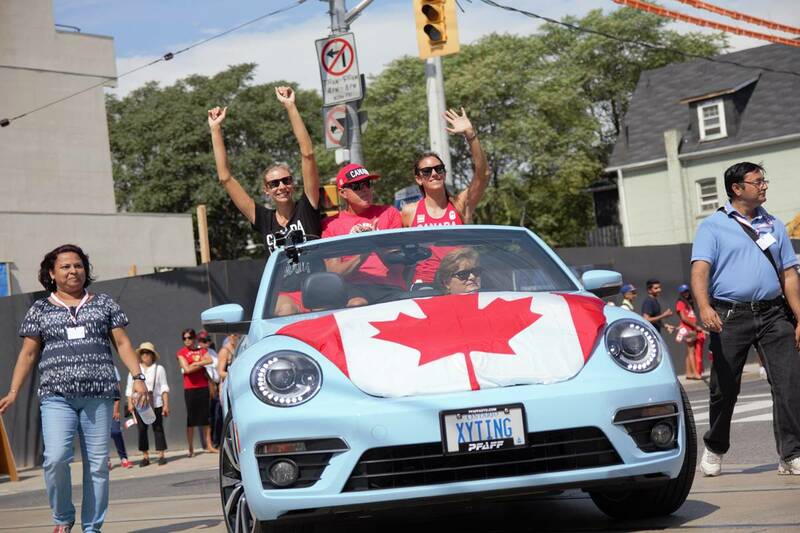 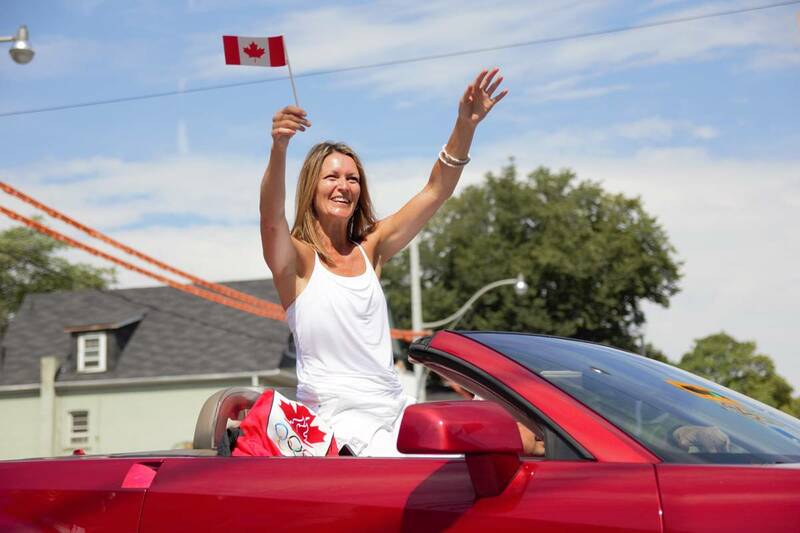 Penny was joined by other Canadian Olympic athletes from present and past, including 3-time Olympic swimming medalist Elaine Tanner. 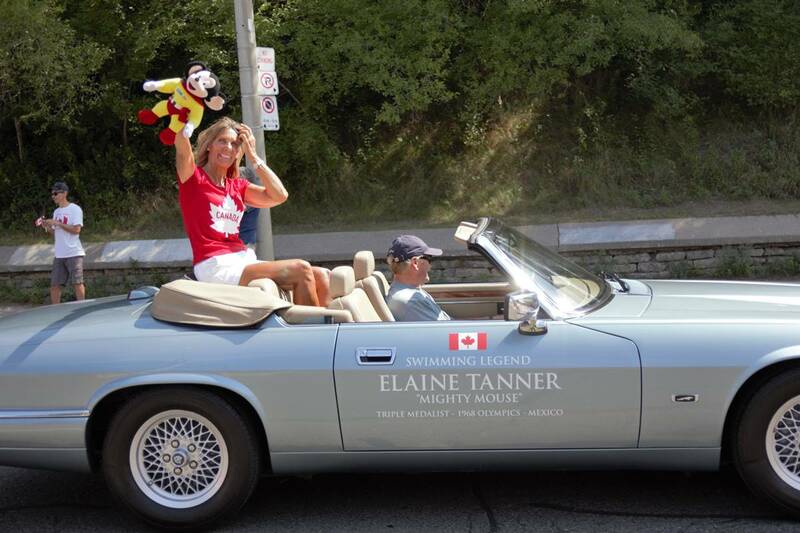 Tanner won 3 medals in Mexico in 1968, making her the first Canadian to win three medals at an Olympics. 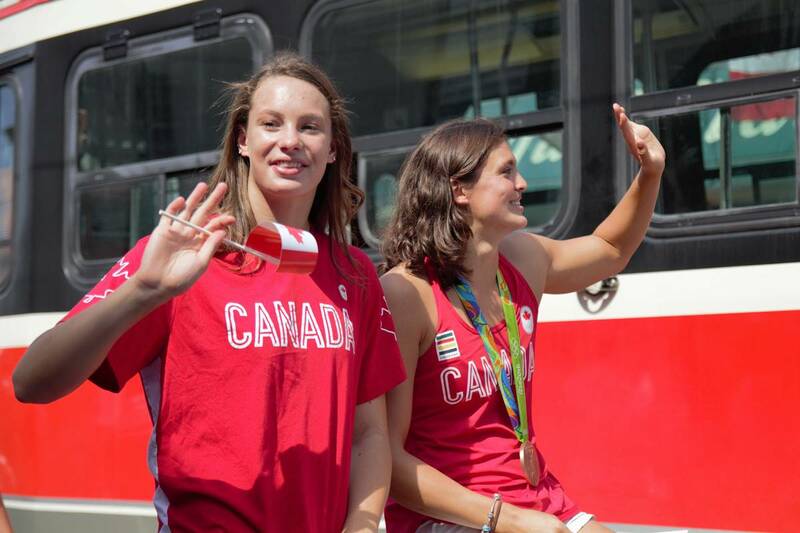 Oleksiak beat that record in Rio by winning 4 medals - 2 bronze, 1 silver and 1 gold. 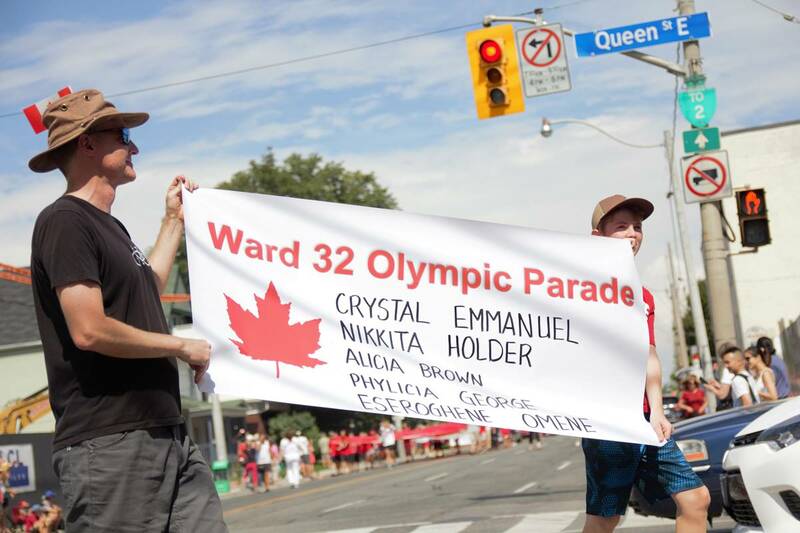 Click images to see full size and read captions. 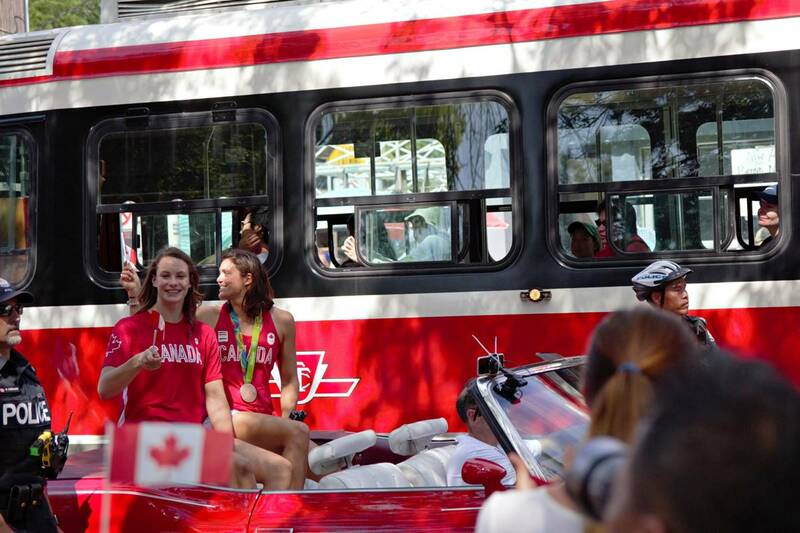 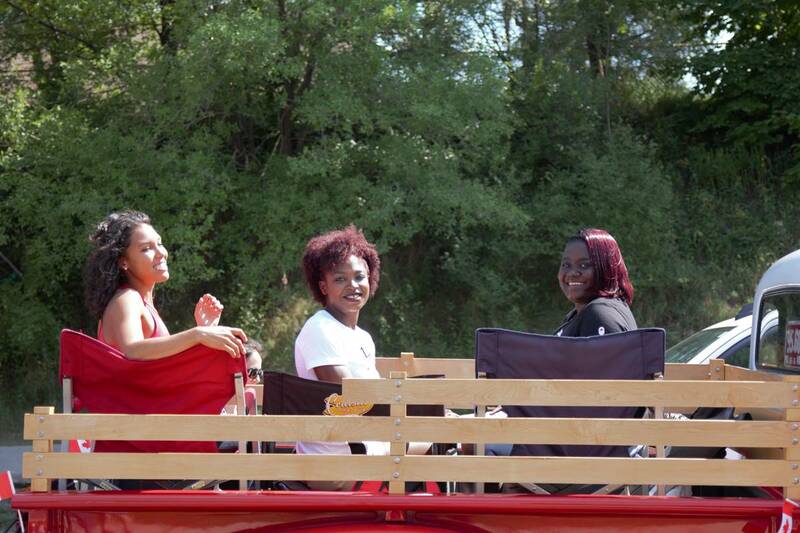 The athletes greet the crowd from the gazebo in Kew Gardens after the parade. 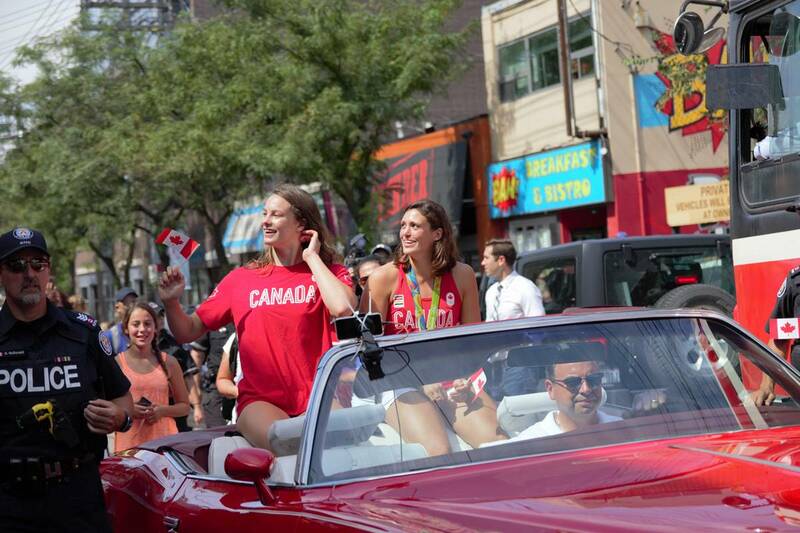 Mayor John Tory was also on hand to declare Sept. 7th as Toronto Olympian and Paralympian Day.